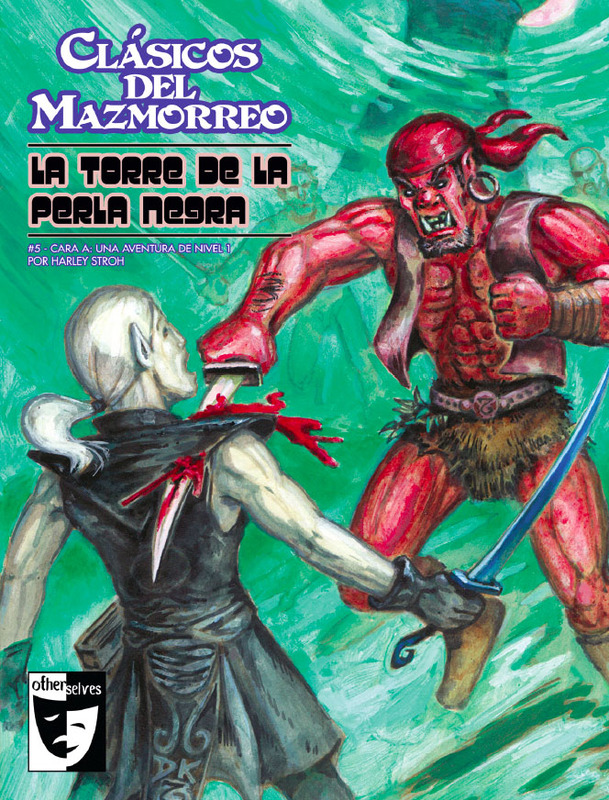 Level 1 and Level 2 Adventures for DCC RPG Now in a Spanish Language version! 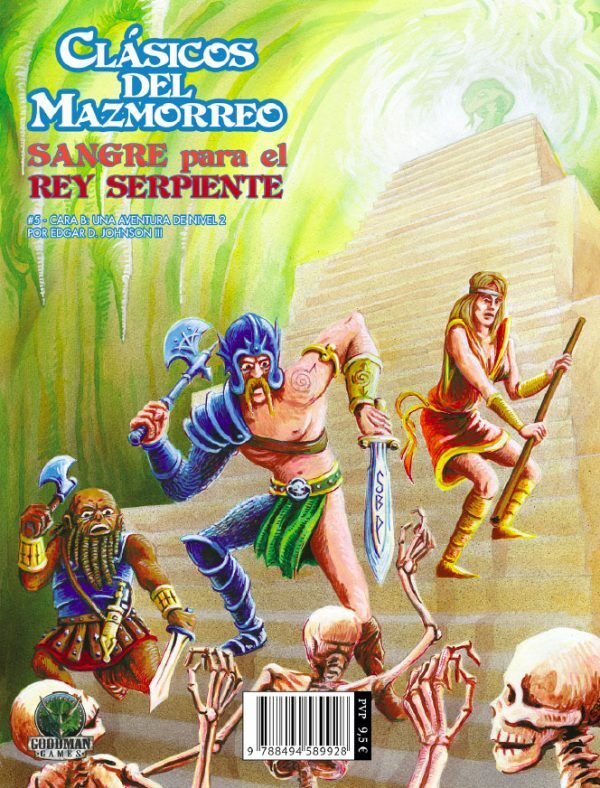 This Spanish language flip-book features two great DCC RPG adventures: The Level 1 adventure Tower of the Black Pearl, and the Level 2 adventure Blood for the Serpent King. Tonight the moon nearly fills the sky, and the tides have already begun to recede. Adventurers have eight short hours to explore the tower before the dark waters return. The fabled Black Pearl will be theirs for the taking…if they can survive the Pearl’s curse. 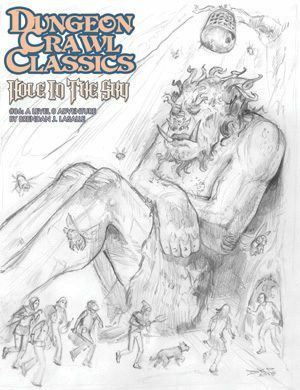 Deep in the jungles, amidst the ruins of an unimaginably ancient civilization, dangers lurk: feral tribes and predatory beasts, and darker things that civilized folk prefer to forget. 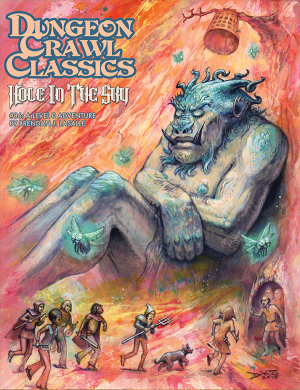 You’ve heard rumors of the treasure hordes of one of those great evils: the legendary serpent-man, Xiuhcoatl. They say that Xiucoatl is worshipped by feral tribes of degenerate serpent-men who call him The Emerald Cobra. 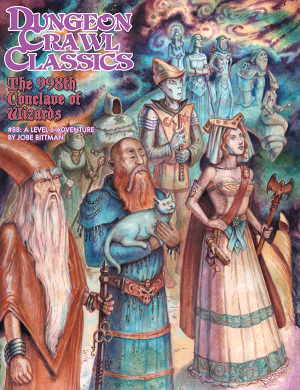 Do you dare face their rites of blood and sacrifice?